This article originally appeared in the Independent Educational Consultants Association August/September 2017 Insights Newsletter. By now independent educational consultants (IECs) are well aware of the common reasons students take a gap year before starting college: recovering from academic burnout, desiring self-discovery, and cultivating a specific skill set, to name a few. Even though there are literally thousands of gap year programs that foster personal and professional development, the complicated process of choosing a program centers on aligning the program with the student’s post-gap year academic plans. Below are some tips to help college admission consultants navigate the issue of students earning college credit prior to officially starting their degree program. A student considering a gap year should complete the college application process alongside their non-gap year peers. As more institutions recognize the benefits of the gap year, some admissions officers are encouraging gap year participants to defer admission. Still, there are a fair amount of institutions that require students to reapply for admission (University of California and California State University systems). Depending on the school, re-applying can mean anything from submitting a brief form to completing the entire application process again in order to be considered for grants, merit scholarships, and other types of financial aid. It is best to communicate directly with the assigned admissions officer to inquire as to how gap year participants should officially notify their chosen college of their plans. Some schools even have a designated admissions officer who works specifically with the gap year population. Students should find out early in the process which admissions officers handle gap year students (if any) and what the specific deferral policies are for gap year students. Gap year participation by U.S. students has skyrocketed in the last decade. Increasingly, organized programs are offering college credit for participants. Since financing a gap year remains one of the biggest obstacles for interested students, federal financial aid in the form of loans has recently become available for a limited number of programs. This is made possible if the program has secured a school of record, an accredited institution that awards course credit to participants on independent educational programs. The opportunity to earn college credit on a gap year program is complicated. While this is a game-changer for students who are eligible for financial aid, earning credit from a different school can sometimes mean students may be required to reapply as a transfer applicant. Additionally, courses taken for credit may not be accepted if there is no articulation agreement in place between the two institutions. Additionally, those students who choose a gap year program because of the possibility of earning college credit should be cautioned to manage their expectations. Despite the gap year phenomenon gaining momentum, it is unlikely gap year participants would end up graduating early or successfully waiving general education courses due to the credit they earn on a pre-college gap year program. From a motivation perspective, students should not base their gap year decisions solely on the possibility of earning college credit. Sarah Dib, International Studies Director of CIEE Global Navigator High School Abroad, encourages students to “treat the gap year as an opportunity to explore the world and learn about themselves.” If a program does offer college credit (and the selected college accepts it), this is a value added component of the program, but it shouldn’t necessarily be the principal reason for choosing it. 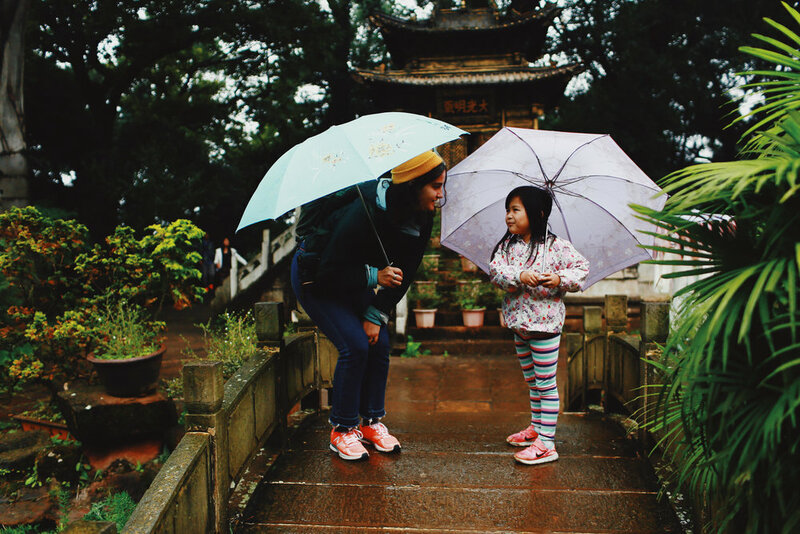 Similar to the college application process, students should consider their personal, educational, and professional goals when considering a gap year program. Through powerful experiential learning, gap year students can break out of their comfort zone while exploring the intersection of their academic and personal interests. IECs are quickly taking on expanded advising roles requiring deep knowledge of gap year programs including international volunteering, work exchange and internships, organized adventure travel, skill-building courses, and language studies abroad. Dedicated gap year counselors are a growing specialty among IECs, and as the number of students needing a break from the rigors of traditional academia increases, we must strike a delicate balance between navigating the bureaucracy of higher education and truly understanding the student’s needs and interests. I'm fresh off a three week road trip where I journeyed across the country from Los Angeles to Chicago. Unlike other trips where I read books, watched documentaries, pored over blog posts, and talked to fellow travelers about my destination, my goal for this trip was simply to minimize my expectations. While I did a fair amount of research on local hikes, campgrounds, bear safety (yikes! ), etc., I wanted to experience the trip without pre-conceived notions of what others had to say about it. Journeying across highways and country roads allowed me to simply observe my surroundings, watching and listening without assigning meaning or making assumptions. This is undoubtedly one of the most difficult feats when it comes to traveling across cultures and regions even within your own country. In embarking on a trip or cultural experience with an open mind and a sense of curiosity, we can more accurately identify what assumptions we're making about whom. We can more easily see that our perspective is just that--our own small perceptions of the world. It's been a busy June! Earlier this month, me and 10,000 other passionate international educators from 100+ countries joined together at the NAFSA 2017 Annual Conference in Downtown Los Angeles (my backyard!). We talked shop: trends, innovative practices, how to deal with global conflicts, and where the future of meaningful travel is going. This was my seventh conference and as usual, it fed my [nerdy] global soul! Meetings over Turkish coffee, networking events across DTLA, thought-provoking professional development sessions, and inspiring training seminars… Add 45+ languages being spoken and you have a global mix of individuals working together to bring the world to young and old. The best part? I attended workshops by Janet Bennett, Ph.D. and Darla Deardorff, Ph.D., two of the leading researchers in intercultural competence research. Personally, I think they are the biggest reason why meaningful travel is more popular than it’s ever been before. They have legitimized HOW and WHY breaking out of your comfort zone is so essential to survive in our globalized world. Intercultural competence is a pretty simple concept actually. It’s about being curious, self-aware, and empathetic towards others. That’s it. Sure, it seems fluffy on the outside but us travelers know that experiencing a different culture has a huge impact on our identities. Something that has often been indescribable until Drs. Bennett and Deardorff (and a few others!) established its presence and importance.